Have you ever dreamed of watching 3D movies at home? Once the preserve of Hollywood studios and Japanese TV makers, 3D is now heading for your home at a price you can afford! If 3D movies and camcorders are still way beyond your budget, fear not; you can easily make 3D videos from regular 2D videos. Actually, it's not as difficult as you imagine. 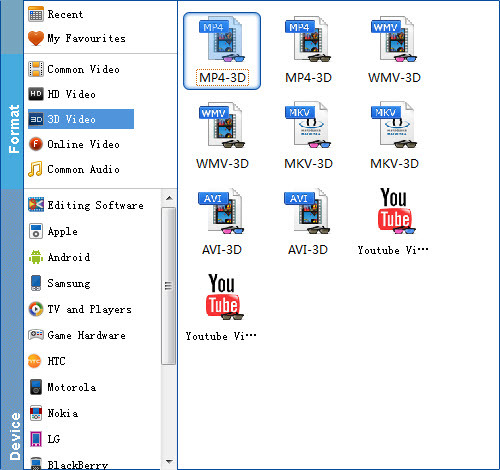 What's need is a just a magic and powerful 2D to 3D video converter - EaseFab 3D Video Converter. As an excellent 3D conversion tool, the program enables you to convert 2D videos to 3D videos, switch the modes among 3D videos as well as converting 3D videos to 2D videos. It's capable of converting 2D videos to five types of 3D videos including Anaglyph(Red/Cyan), Side by Side, Side by Side (half-width), Top and Bottom, and Top and Bottom (half-height). Besides, it can convert almost all popular formats of videos whether in SD or HD such as AVI, MPEG, H.264/MPEG-4, DivX, XviD, AVCHD Video (*.mts, *.m2ts), H.264/MPEG-4 AVC (*.mp4), MPEG2 HD Video (*.mpg; *.mpeg), MPEG-4 TS HD Video (*.ts), etc. What's more, you can easily convert videos to play on all mainstream devices like iPad, iPod, iPhone, Apple TV, PSP, Windows mobile devices, etc. For Windows (including Windows 8) users, just follow the detailed guide to complete your conversion. The way to convert 2D to 3D on Mac (including Yosemite and Mavericks) is the same. Just make sure you've downloaded the right version. 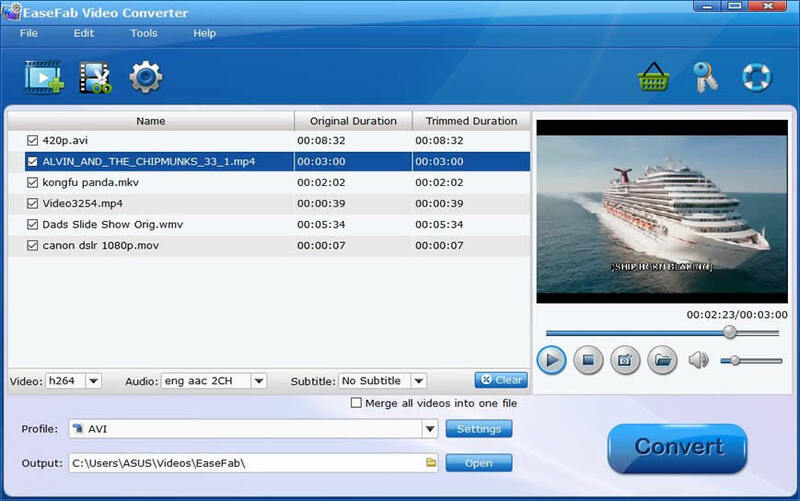 After installing EaseFab 2D to 3D video converter, launch it and click Add Video button to import your source video files. You can lso directly drag the video files into program. Usually MKV and MP4 are most recommended formats, but you still need to check your device specification to choose one accordingly. Click "Profile" and select a 3D format like MP4-3D, MKV-3D, WMV-3D, AVI-3D, Youtube videos from "3D Video" category according to your needs. By clicking "Settings" button, output parameters are classified and can be adjusted freely: Video Codec, Video Size, Bitrate, Frame Rate, Audio Codec, etc. Finally, click the big "Convert" to start the 2D to 3D conversion. Wait for a while and click "Open output folder" to locate the converted video easily. Now transfer your 3D movies to 3D TV or video projector via USB for playback. Do not forget to turn on your device 3D settings!